This product is also one of my favourite from Biotique. 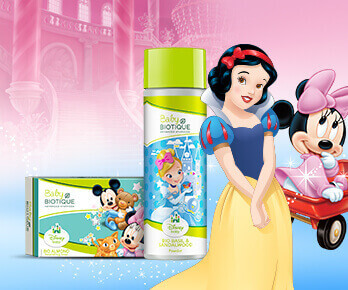 This product and Bio Apricot Body Wash I would say are must try product of Biotique. The consistency is good . Just a few drop is enough. Using it for months. Suitable for every type of skin . It gives a glow . I have used this nector and its amazing. I love the fragrance and texture. Fresh morning for the whole day. I am using this product for three months and its excellent. It helps to get rid of dark spots on the skin. The highlight is the smell of the moisturizer, it’s mesmerizing. Gives such a good feeling. The lightest moisturizer perfect as a makeup base. Very good breath soothing fragrance. leaves the skin with a nice satin feel and does its job so well. It moisturize your skin in every best manner possible. No worries of dryness,also it has a great fragrance. I don't just use this in the morning, I use it pretty much all the time. It has helped me detox in ways I never knew was possible. I think the ingredients in it were probably combined together just for the likes of me. Those with oily skin might have to be a little more careful, and not be too lavish while using the product. But generally, as I have seen, it works for most skin types. Definitely one of my best buys! It's not too oily, but just right. Feels absolutely natural and organic. Its the perfect thing to use before you start your day, and gives my skin a nice glow. The fragrance is strong, which I prefer as it adds to total affect of using the product.